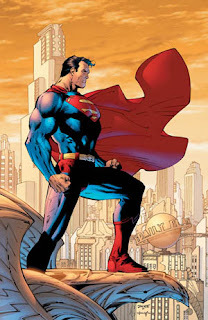 The Wort Report: Zack Snyder's 'Superman' Reboot in Crisis? Apologies in advance for the complete and total lack of updates over the last seven days. If you know where I work, you know my life’s been crazy since Monday night. If you don’t, well, let’s just say my week has been “electrifying.” You smell what I’m cooking? Rock on. This isn’t the best news for Superman fans who just recently celebrated the casting of British actor Henry Cavill as the Man of Steel. Insiders also note that the script for the unnamed reboot suffers from some devastating third-act problems, which have likely induced some studio hand-wringing as the project nears its 2013 deadline. If a Superman film isn’t in production at that point, Warner Bros. must re-license the rights to the franchise from the estates of Superman creators Jerry Siegel and Joe Shuster. Additionally, Vulture reports that Snyder’s 300 sequel, Xerxes, has been re-assigned to Sherlock Holmes director Guy Ritchie. Could his Superman film fall into another director’s hands if Sucker Punch doesn’t deliver a knock-out blow when it hits theaters on March 25? Stay tuned, Wortmaniacs.